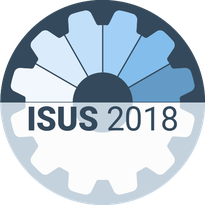 The public lecture by Dieter Birnbacher (University of Düsseldorf) will open the ISUS conference. Dieter Birnbacher (born 1946) is one of the most influential German philosophers. He graduated from Cambridge in 1969 and did his doctoral studies in Hamburg, before completing his Habilitation in Essen. He is a member of the Leopoldina, the German National Academy of Sciences, and holds numerous offices in advisory boards of academic institutions or associations. For instance, he is a member of the Ethics Committee of the German Medical Association and Honorary President of the German Society for Utilitarian Studies. He has pioneered utilitarian perspectives on many topics of philosophical interest in Germany, in particular on bioethical issues such as organ transplantations, assisted suicide, and distributive justive in the health care system. Dieter Birnbacher has published influential books on, among others, topics such as the distinction between doing and allowing and our responsbility for future generations, as well as numerous articles. His translation of Mill's Utilitarianism is a classic in the classroom. The public lecture will deal with a topic he has been working on for a long time, future ethics. As the public lecture is open for everyone interested, the talk will be held in German but a written translation in English will be provided. 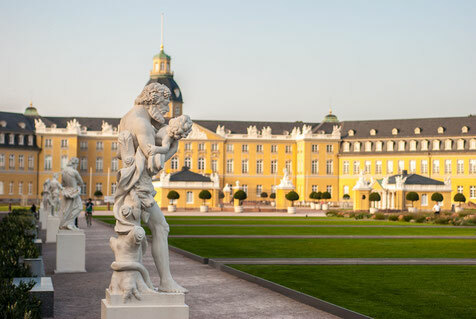 The public lecture will take place on July 23, at 18.00 in the Karlsruhe Palace, pictured on the right (Karlsruher Schloss). The room's name is "Gartensaal". Use the central main entrance and walk past the ticket booth of the museum, it is right behind, towards the garden. After the public lecture, we will walk through town (about 20 minutes) to the restaurant where the get-together will take place, it is called "Zum kleinen Ketterer". It is located at Lidellplatz (postal address: Adlerstrasse 34, 76133 Karlsruhe). The menu is a little bit limited but there will be vegetarian options. You are welcome to join us there even if you have not been to the public lecture, of course.